Do we deliver and manage services based on what we think our customers need? Or do we act based on what our customers tell us they need? 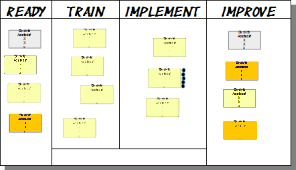 Kanban provides a simple, transparent and highly efficient work management system that is ideal for aligning and continually adapting our services to our customers’ needs. This presentation will provide an introduction to the six practices and Kanban and how they bring you closer to your customers.